Most people don’t know that their camcorders have an unnecesarily high megapixel sensor. You know 1080p is only about 2MP right? Canon knows that anyway, and so they decided to use only a 2 megapixel sensor in their new camcorder line (that’s until 4k res). What does this mean to the actuall consumers? It means better lowlight performance and overall more awesome quality, bigger pixel’s on the sensor means..
Well let’s say a whale has better sight than a mouse, and we see better in dark when our pupils are dialated. Same goes for cameras.The HD CMOS Pro is inside of Canon’s very best consumer camcorder, the $1500 HF G10. It’s got an 8-blade iris, 32GB internal storage + dual-slot SXDC recording, a 922,000-dot, and 3.5-inch touchscreen. One of the perks is a mic that adjusts based on the zoom level; it tries to increase sensitivity on the audio coming out of whatever you’re looking at, whether it’s near or far. 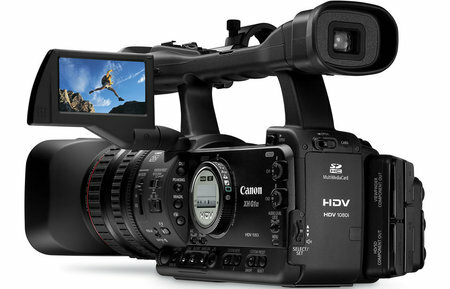 Or, you can save money and snag it inside Canon’s M series camcorders, which go from $650-$800. LAKE SUCCESS, N.Y., January 5, 2011 – Canon U.S.A., Inc, a leader in digital imaging, today announced an exciting new line of eight VIXIA High Definition flash memory camcorders. 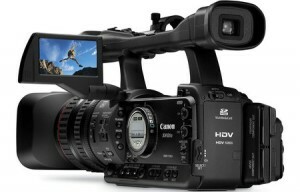 The 2011 high-definition lineup includes Canon’s new flagship model the VIXIA HF G10, the high-end VIXIA HF S30, three compact VIXIA HF M-series models and three entry-level VIXIA HF R-series models. Constantly pushing digital imaging forward, Canon has improved upon its Full HD CMOS image sensor, with the introduction of the new HD CMOS Pro Image Sensor, available in the VIXIA HF G10 and VIXIA HF M-series camcorders. This new sensor incorporates larger, more sensitive pixels resulting in high video resolution, outstanding low-light performance and an expanded dynamic range [www.usa.canon.com/HDCMOSPro]. Other new features enhancing Canon’s 2011 VIXIA lineup include dual SDXC-compatible memory card slots for maximum storage capacity, Cinema-Look Filters that add various cinematic effects, and new Story Creator and Touch Decoration features for an easy and fun way to shoot great video and add creative flair. High-Quality Microphone: Canon has enhanced the internal microphones on its 2011 VIXIA models to give users the high-quality sound to match their HD video. With four directional options, users can set internal microphones to Monaural, Normal (Stereo), Wide, and new Synced with Zooming mode. When in Synced with Zooming mode, the microphone will adjust directionality to coincide with the lens’s focal length position to properly match the audio with the portion of the scene being captured. Users can also adjust frequency response characteristics to dampen the effect of unwanted noise. Tele Macro: Reduces the minimum focusing distance at the telephoto end of the zoom range to 1.3 feet (from 3 feet) allowing users to capture spectacular close-ups at full telephoto with the appearance of a shallow depth of field for stunning imagery. This is one of 38 scenes available in Canon’s Smart Auto mode. Story Creator: Canon’s new Story Creator assists you in the process of storyboarding an organized and sophisticated video shoot. Choose one of five themes – Travel, Kids & Pets, Party, Ceremony, and Blog – and the camcorder provides a list of suggested scenes to shoot to help walk users through the process of creating a complete video storyline. The 2011 VIXIA line-up retains many popular features that make it easy to record outstanding HD video, such as Canon’s Smart Auto mode which intelligently detects and analyzes brightness, color, distance and movement and automatically selects the best setting for the scene being recorded. Canon’s Touch & Track feature allows users to select any subject on the Touch Panel LCD screen with their finger, the camcorder will then track the subject ensuring sharp focus and proper exposure. All 2011 VIXIA models have Relay Recording for seamless uninterrupted video recording from one memory source to the next. When the primary recording media is full the camcorder continues to record the scene by switching to the next memory source, so that users won’t miss a moment of action. Canon’s Powered IS provides a higher level of compensation for subtle hand movement at the telephoto end of the zoom range. In addition, all VIXIA camcorders with built-in memory feature HD-to-SD Downconversion which enables users to convert recorded high-definition video to standard-definition files while preserving the original HD footage. These down-converted files make it even more convenient to share video online or create a DVD. Each new model is also compatible with Eye-Fi SD Memory Cards, allowing for wireless uploading of video content to a computer, social networking site or video sharing website. I am a poor man from the African region, I need money to survive by comment on your blogs / forums or guestbook to make my website appear in search engine. wtf right?